Vietnam is one of the countries hardest-hit by bombs, mines and explosives left over from the war, said an official from the Ministry of Labour, Invalids and Social Affairs. 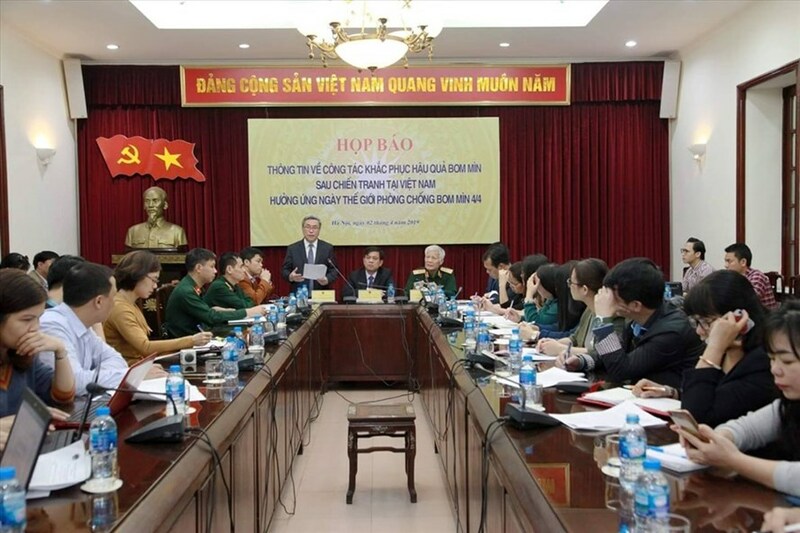 At a press conference on International Mine Awareness Day (April 4) held by the ministry on Tuesday, chief of the ministry office Nguyen Ba Hoan said that the Vietnam War ended more than 40 years ago, but around 800,000 tonnes of unexploded ordnance remain scattered across the country. Up to 6.13 million ha in the country are contaminated by bombs and mines, accounting for 18.71% of the total. Post-war unexploded ordnances are scattered in 63 cities and provinces, mostly in the central region. All wards, communes and districts in Quang Binh are contaminated by bombs and mines with a total area of nearly 225,000ha. Over the past decade, 164 bomb and mine accidents in the locality have killed 49 and injured 115 others. Thousands of residents have become disabled during their life due to limited awareness of unexploded ordnances. According to Hoan, it might take as long as 100 years to rid the country of this deadly legacy with the cost of tens of billions of USD. Since 1975, around 40,000 people in Vietnam have been killed and 60,000 have been injured by bombs and mines. Most of them are people at the working age and children. Over the past years, the government has instructed the Ministry of Defence to speed up bomb and mine clearance, particularly in the most hardest-hit localities such as Quang Tri, Quang Nam and Binh Dinh.